Interesting concept, keep up the good work! itch.io Community » General » General Discussion · Replied to itsjustgames in Looking to help your game grow! It will be on Steam by April 2018, however we are currently gauging whether to put it up on Steam Early Access or just ride it through until release. itch.io Community » General » General Discussion · Posted in Looking to help your game grow! itch.io Community » General » General Discussion · Posted in Looking for indie games for my YT channel. I want to play your games! We appreciate it, you can be assured lots of love went into this game, and will continue until its release! As for COOP, simply plop in 2 Xbox controllers and press start with a second "Party Unit", on the player 2 controller. Soon I will update it with the option to setup COOP in the barracks. We hope you enjoy what you see, happy gaming! I love the creativity, Good job! I too loved them as a kid ;). BACK THIS GAME ON KICKSTARTER! Crescent Hollow has been in development since 2015 and is a handcrafted game from the ground up with custom music, sound design, art, and code. There are currently 4 classes to choose from: Airship Pirate, Ninja, Druid, or Dark Knight. All 4 classes have been fully animated, have their own unique intro story, and wield around 20 powers each. Real-time action combat, each class has about twenty powers and four to six standard attacks with their class weapon. Combat is about 75% complete, yet fully functional for the DEMO. Dynamic airship battle system that allows you to experience real-time combat in the skies. You can fire cannons, upgrade your cannons, customize your sail, and you will have to repair your hull after certain battles. Complex, yet comprehensive stat system, complete with resists for player, party and enemy. Current Resists: Fire, Ice, Water, Lightning, Earth, Air *We are considering adding light and dark resists as well. So far there are about 30 fully animated creatures in the game, half of them can be gained via quests and can be commanded with command scrolls, then summoned at the barracks. (*not all enemies can be turned into party units.) When you buy command scrolls at the barracks, and then use a command scroll, it has a 15% chance of sucking the soul of special enemies in, then it turns into a command card. From there you can summon that particular creature at the barracks. Plenty of bosses to fight! Three controllable party members called "Party Units", mix and match them, level them up, unlock new powers. The barracks buildings can be found in any major Empire or town, and is used to summon your party units. *Each class starts off with their own unique party units. 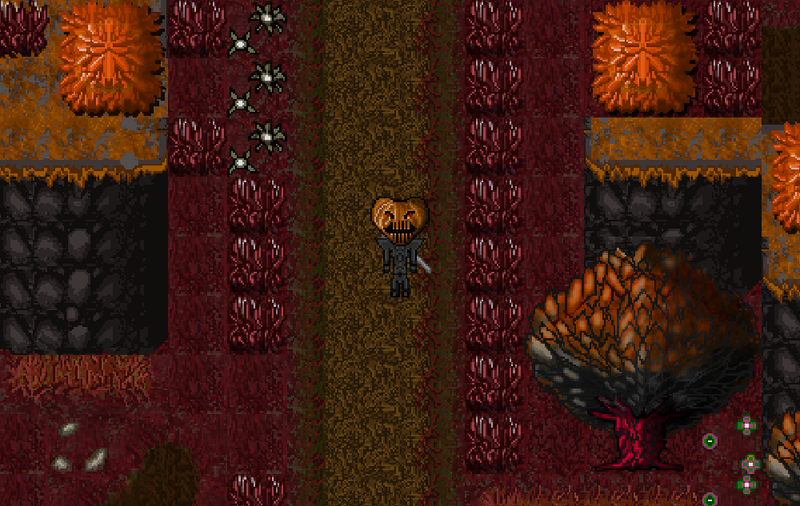 Harvest items from plants, trees, enemies. Craft potions from the alchemy station, weapons/armor at the anvil, cook food from the campfire. Gather wood, stone, and ore to build your empire from the ground up. You will also be able to farm. The build system ties into the games main story quest, it will all make sense as you play. For now, we will explain the best we can since build mode is not in the DEMO. In the near future, we will release a build mode DEMO since the system is quite complex. Around a dozen biomes, each highly detailed and fleshed out. Multiple overworld maps. Explore the islands of the seas and the skies. The day/night cycle is connected to a global clock. There is also a calendar that keeps track of every day of each month so that events can be triggered any day of the month. As day turns into night it becomes especially dangerous as there are exclusive nighttime creatures that spawn. 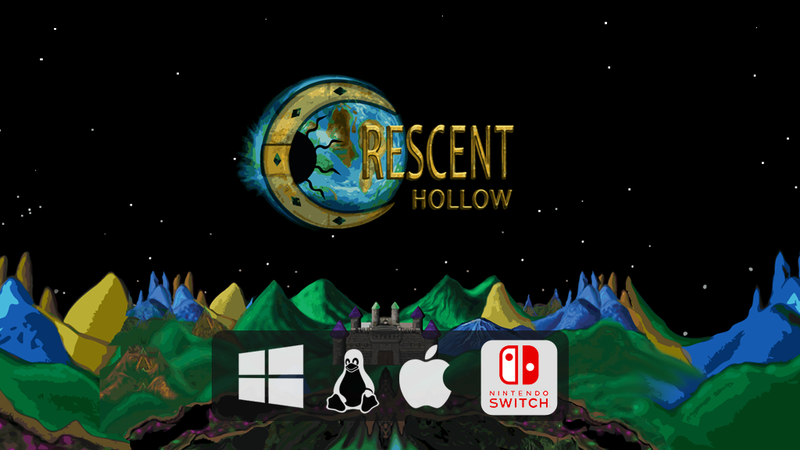 Fully customized music to bring the world of Crescent Hollow to life. The composer has brought her unique sounds in creating modern retro style music. itch.io Community » Game Development » Release Announcements · Created a new topic Duel Jousting, Dragon Jousting! • Duel Mode is a special mode with special rules: Each time you enter and are a different level you will be matched with an enemy at your level. Duel mode can only be done once per level since rewards are so high. • In Game money shop where you can buy power-ups, weapons and armor, and many other goods. • Customize your Jouster in the character customizer, change your dragons skin, suit up armor, etc.